Also known as beach buggies, these recreational vehicles became wildly popular around the time the time the Beach Boys were topping the pop charts. Technically, just about any vehicle could be transformed into a dune buggy, either by modifying the stock body or by taking it off and bolting on something custom. Most commonly they were convertibles and may not have even had doors. 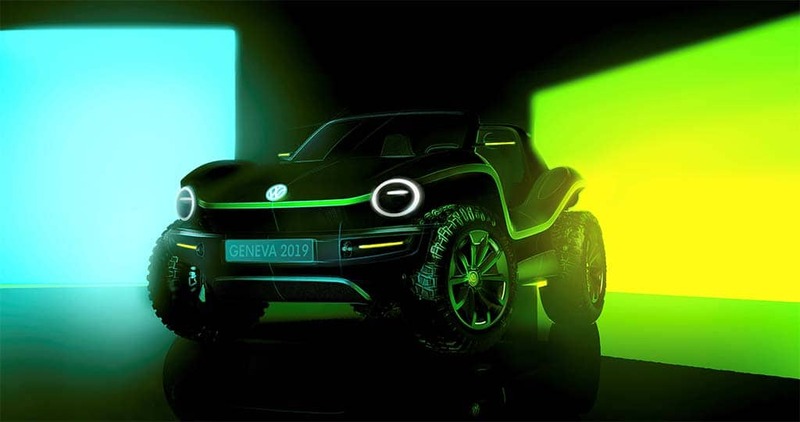 This electrified concept of the popular VW-based dune buggies of the '60s and '70s debuts in Geneva. The Volkswagen Beetle was the most common base upon which buggy enthusiasts started out, gaining wild popularity with the debut of the Meyers Manx back in 1964. Bruce Meyers’ classic design used a fiberglass body mounted atop a Beetle chassis. The simplicity of the air-cooled engine and the robustness of its suspension meant buggy owners could count on getting home after a day of fun. VW estimates that worldwide as many as 250,000 Beetles were modified into dune buggies or other unique models by the 1980s. With the new Volkswagen Dune Buggy concept the automaker is replacing the Beetle chassis with its new MEB platform. 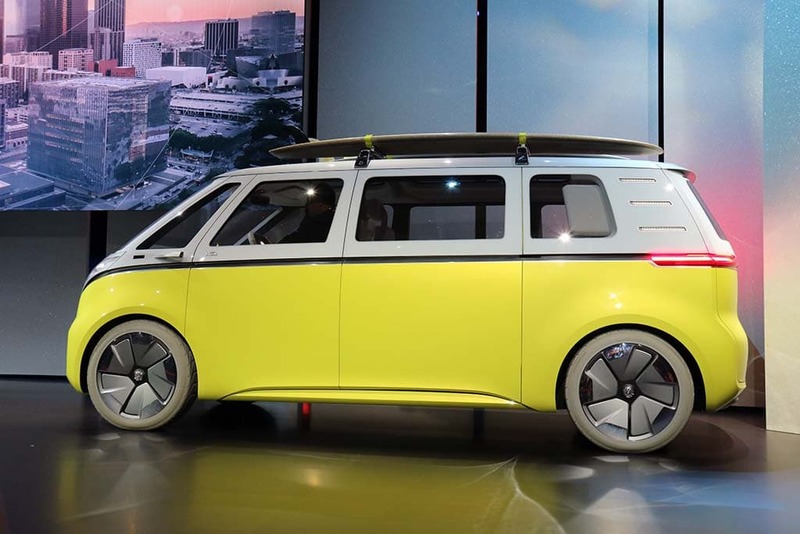 That’s a modular architecture that will be showing up underneath a wide range of VW’s upcoming battery-electric vehicles, including those that will be produced at its Chattanooga, Tennessee assembly plant. The automaker earlier this month announced it will invest $800 million to update that facility to handle two all-electric models. All told, VW expects to have as many as 50 different battery-electric vehicles, or BEVs, in the showrooms operated by its various brands by the middle of the coming decade. The bulk of those will be based on the MEB, though it is developing several other all-electric platforms, including one for the high-line Porsche and Audi brands. Volkswagen unveiled the I.D. Buzz Concept at the 2017 North American International Auto Show in Detroit. All of those “architectures” will have a basic layout in common, with a skateboard like platform mounting their batteries, motors and some key control systems below the load floor. That approach improves the center of gravity and also allows space normally used for the engine compartment to be dedicated to cargo and passengers. The Dune Buggy concept is just the latest VW show car to go retro. It revealed the I.D. Buzz prototype at the January 2016 Consumer Electronics Show. Picking up on the theme of the classic Volkswagen Microbus, a production version of the Buzz is now in development and should hit showrooms in 2022, the German automaker has confirmed. 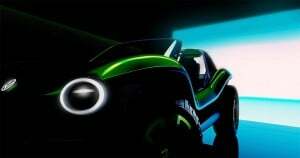 Could a production version of the Dune Buggy concept also be in the works? Perhaps the bigger question is whether the show car hints at an upcoming revival of the Volkswagen Beetle, which will officially end its long run with the 2019 model-year. VW insiders have hinted at a possible revival of the once-beloved Beetle and the upcoming debut of the Volkswagen Dune Buggy concept could be a signal that something really is in the works. This entry was posted on Thursday, January 31st, 2019 at and is filed under Asia Pacific, Auto Shows, Automakers, Automobiles, China, Classic Cars, Concept Cars, Designers, EVs, Electrified Vehicles, Europe, Events, Executives, Geneva, Markets, NAFTA, Personalities, Sales, South America, Technology, Trends, U.S./North America, Volkswagen. You can follow any responses to this entry through the RSS 2.0 feed. Both comments and pings are currently closed. This is the first EV I’ve seen that I would actually consider. Too bad VW will never sell in the U.S.